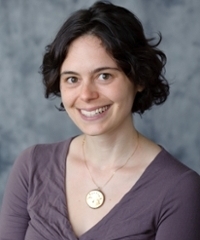 Katherine Mannheimer studies Restoration and eighteenth-century literature, with an emphasis on print culture, book history, and histories of reading. Her published work has focused on such topics as the use of page design in eighteenth-century satire; the ways in which early modern culture understood the relationship between gender and the readerly imagination; the tension between print technologies and pastoralism in John Gay’s poetry; and the markings that Alexander Pope left behind in his personal copy of Ben Jonson’sWorks. 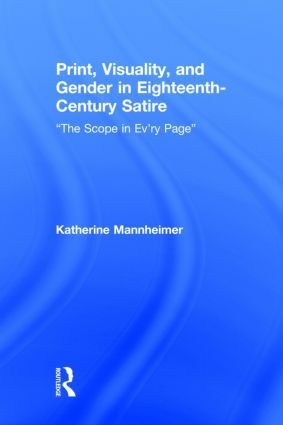 Her first book, Print, Visuality, and Gender in Eighteenth-Century Satire: "The Scope in Ev’ry Page,"argues that the Augustans used typography as a kind of pedagogical tool, training their readers in how to see and read. Her current project examines the ways in which reading is depicted on the late-seventeenth- and early-eighteenth-century stage.